How Much Cod Liver Oil Can You Take? Cod liver oil, like its name suggests, is a supplement made from oil found in the liver of the cod fish. Cod liver oil is naturally rich in omega-3 fatty acids and other beneficial nutrients. 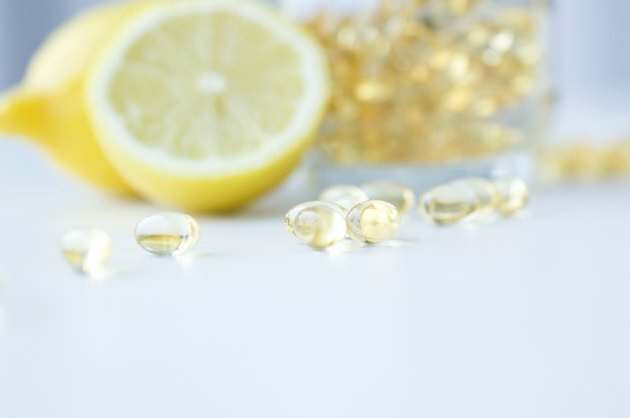 Fish oil is generally recognized as safe in doses less than 3 grams daily, but cod liver oil is different from other sources of fish oil because it's quite high in vitamin A, which can build to toxic levels. Cod liver oil is a rich source of vitamins A and D. Vitamin A maintains your night vision and keeps your skin healthy, while vitamin D supports your immune system and is essential for strong bones. The omega-3 fatty acids in cod liver oil reduce your risk of cardiovascular disease by fighting chronic inflammation and lowering blood levels of cholesterol and triglycerides. One tablespoon of cod liver oil contains about 2.4 grams of combined EPA and DHA, which are the two omega-3s in fish oil. However, the amount of total omega-3 varies depending on the supplement. It's best to get cod liver oil by eating the whole fish. However, omega-3 fatty acids are so important for your heart health that you should consider taking a supplement of 500 milligrams daily if you do not eat fish or other foods rich in omega-3 fatty acids, according to the Harvard School of Public Health. Higher doses of 3 to 9 grams daily are prescribed for people who have high triglycerides or cardiovascular disease, according to New York University. These higher therapeutic doses can cause serious side effects, so consult your physician before taking that much cod liver oil. Cod liver oil contains a high amount of vitamin A in the form of retinol. This form of the vitamin is stored in your body and can accumulate to toxic levels if you consume excessive amounts. One tablespoon of cod liver oil may contain as much as 14,000 international units of vitamin A. The upper tolerable intake, or the maximum amount you should consume in one day, is 10,000 international units. Vitamin A toxicity leads to nausea, headache, fatigue, dizziness, and joint pain. Severe cases can result in liver damage. When you buy cod liver oil check the label for the amount of vitamin A. Be sure your total daily intake from all sources does not exceed the upper tolerable intake. In doses above 3 grams daily, cod liver oil can have side effects other than vitamin A toxicity, according to MedlinePlus. People with seafood allergies might also be allergic to cod fish oil supplements, so take with care until you know how your body will react. Cod liver oil supplements might weaken your immune system or interfere with your blood's ability to clot. It can also interact with prescription medications, especially drugs to help you lower your blood pressure and to slow blood clotting. Are Nuts and Seeds High in Vitamin D?